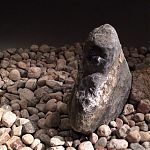 Nameless Foundlings (2013) is a sculpture installation consisting of natural stone and seven works of sculpture hewed in them with children as their subjects. 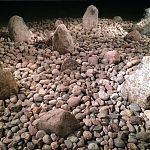 This work takes as its starting point the Southwest Finnish landscape of glacially transported boulders, Bronze Age cairns and stone formations piled on ancient shorelines – the everyday setting in which the artist lives. 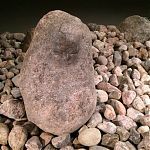 Here, as in other works of the Findling (Foundling, 2012-) series, Anne Koskinen uses locally found natural stone. 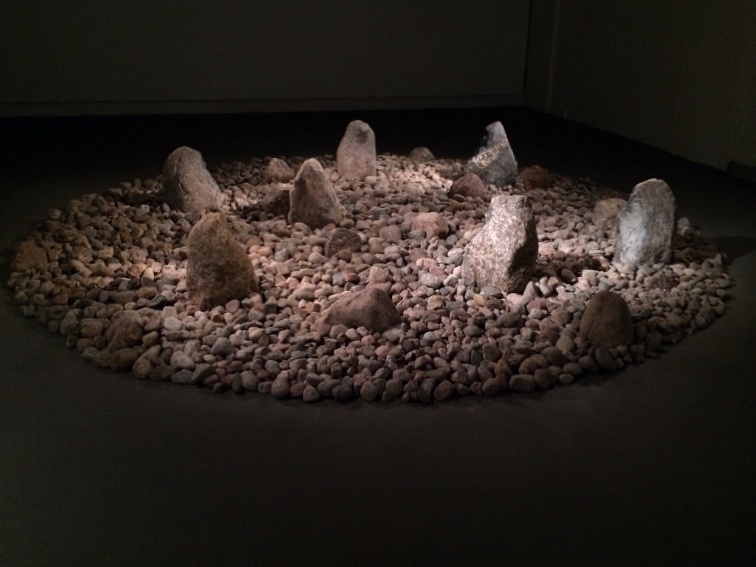 The durability, ecological aspects and naturalness of stones from her nearby environment have inspired Koskinen’s considerations of the origin of the image. She focuses on the primal sources of making images by using natural materials instead of man-made ones. 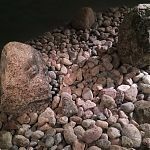 Anne Koskinen is fascinated by the opportunities of natural stone, which become part of the process of things becoming images. With reference to visual research in the German-speaking world, Koskinen proceeds from the point that an image is about generating a meaning rather than passing it on. She is fascinated by an issue that is both commonplace and a source of endless wonderment for artists making images. How does material become an image? 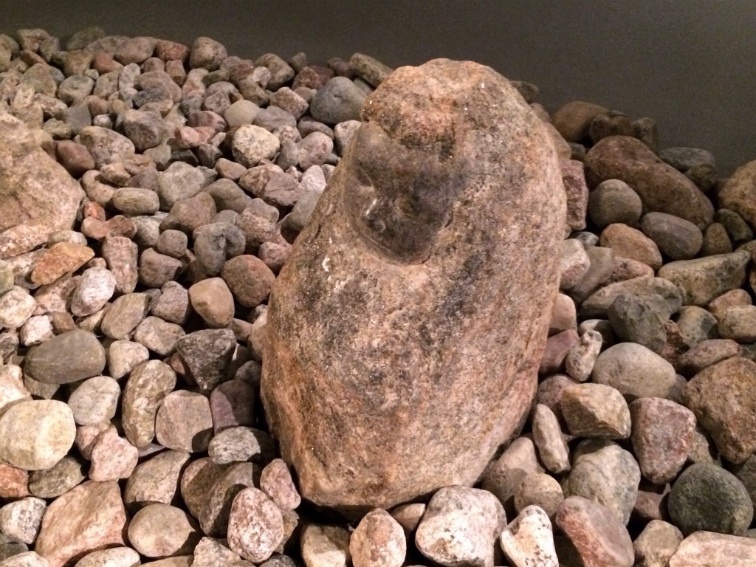 How does a stone become a child? Koskinen sets out from a fundamental and most simple process of image-making. 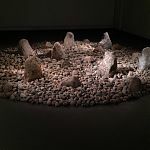 She looks for budding starting points of pictures in stones and differences between an image and the not-yet-an-image. The artist prepares her works herself, from start to finish, for she wants witness how an image begins to appear in natural material during the process of sculpting it. Pristine natural stone contains the still-possible, the uncertain and the not-yet-complete. 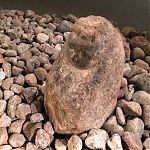 The sculptures are created through negation: in order to reinforce the budding beginning of an image that will appear in natural stone, the artist removed stone, which on the other hand is the precondition for the existence of the sculpture. What remains untouched is a reference to beyond the making of images. Just as drawings have no areas that lack meaning even if they are “empty”, neither does this work have parts without meaning. 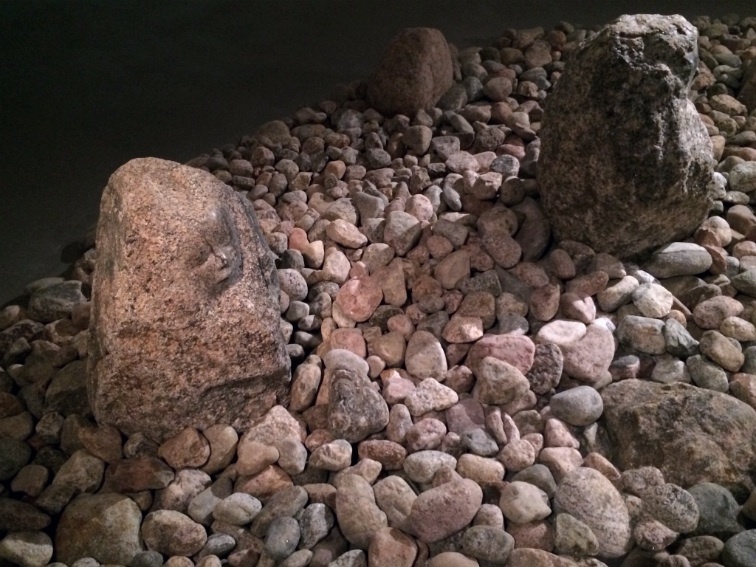 Natural stone, rather, brings forth the idea that images are based on double representation (Zeigen). They simultaneously show something and appear in their own materiality. 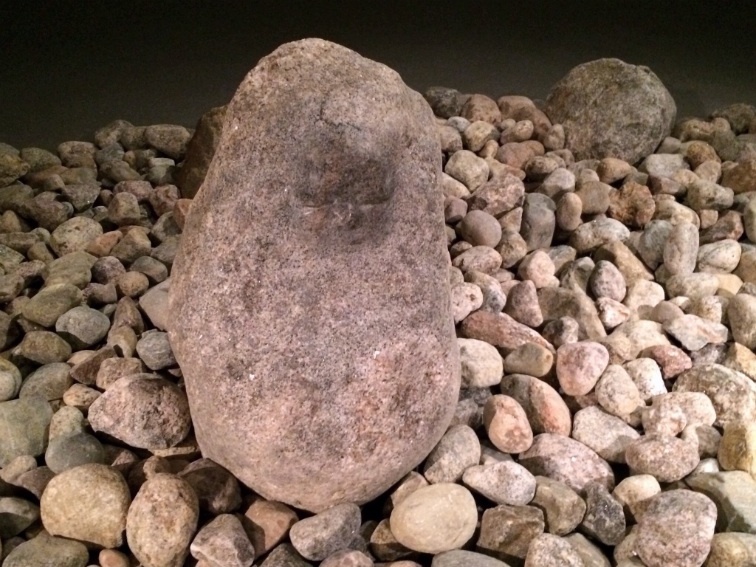 The same is suggested by the German word Findling, which can mean both foundling and a boulder transported by glacial action. 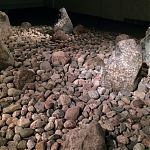 Considerations of the origins of the image and natural stone as a material for images merge, via the German language and almost of their own accord, with the theme of the foundling. 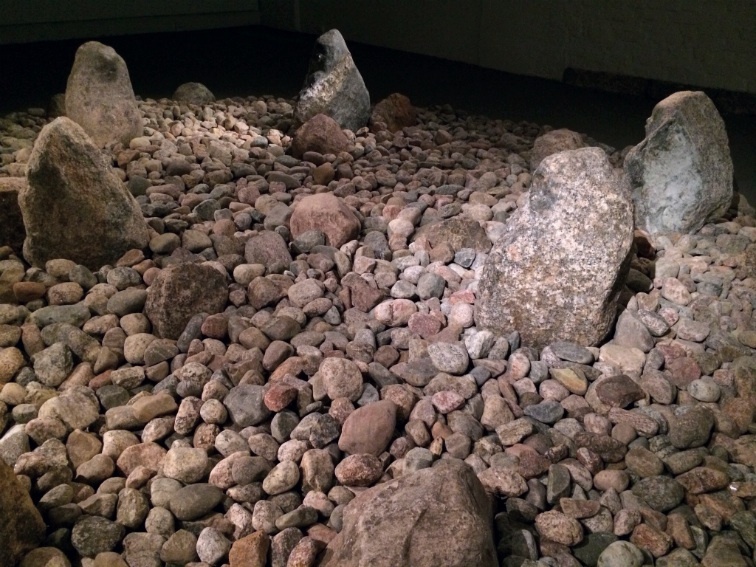 Abandonment becomes the main narrative theme of an installation made of natural stones moved by the Ice Age. The work can be read on the one hand as a monument to children who know nothing of their roots. 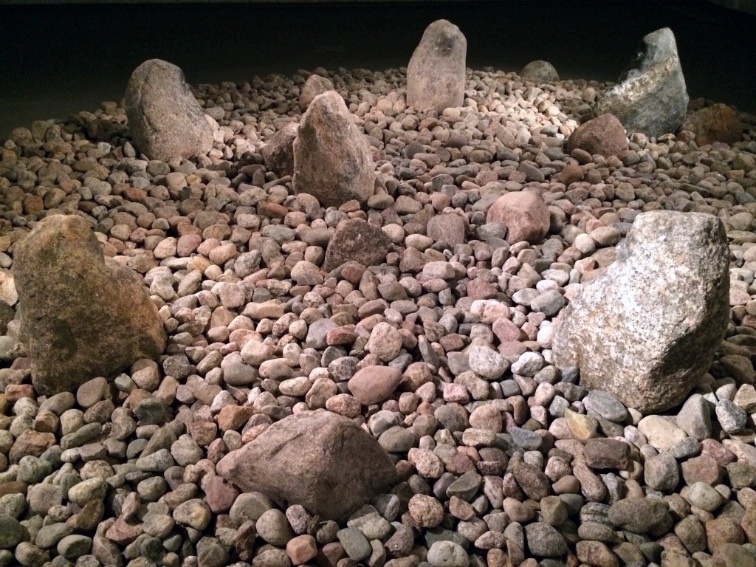 On the other hand, the shape of the piece, corresponding to a Bronze Age burial cairn, can be interpreted as a reminder of the practice that also occurs at present of abandoning unwanted babies, often girls, to be found or to die. 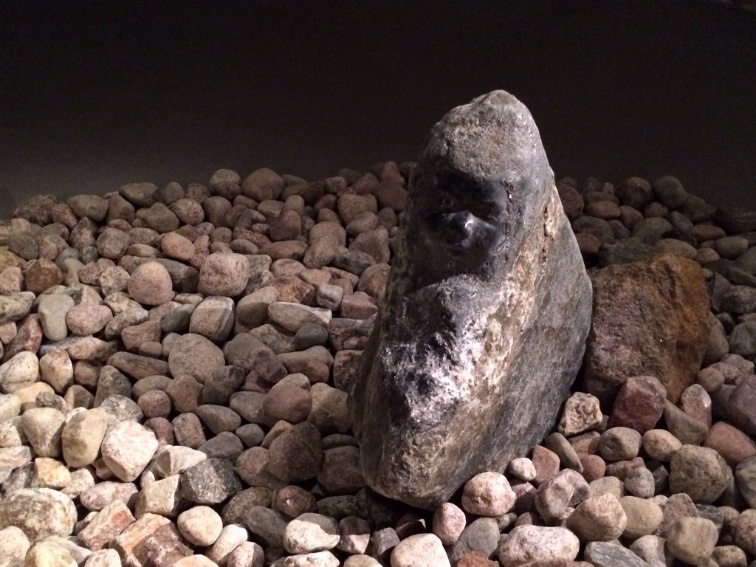 Nameless Foundlings (2013) was on show for the first time at the exhibition Levottomuuksia (Restlessness) curated by Veikko Halmetoja at the Salo Art Museum, from 18 January to 16 March 2014. Boehm, Gottfried. Wie Bilder Sinn erzeugen. Die Macht des Zeigens. Berlin: Berlin University Press. 2007. Valjakka, Timo. “Images of Yarning and Absence”. In: Anne Koskinen – The Presence of Absence 1996–2002. Helsinki: Galerie Anhava. 2001.